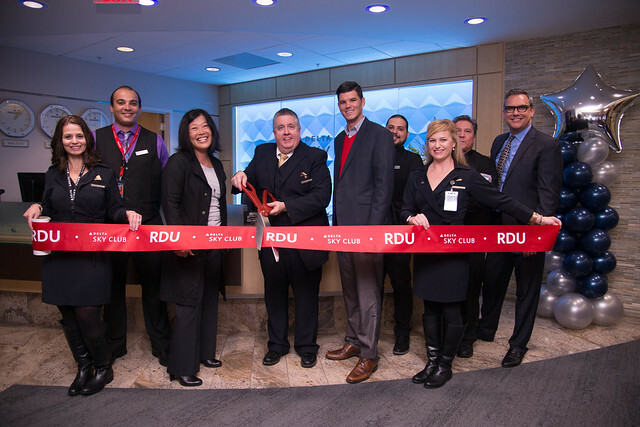 RALEIGH - Delta has officially unveiled its latest Club renovation at Raleigh-Durham International Airport (RDU). The enhanced facilities have nearly doubled the seating capacity and added more accessible power charging stations and a new food and beverage area. Conveniently located beyond airport security on the second level of Terminal 2 across from Gate C3, the 5,600-square-foot lounge seats more than 140 guests. For more than two years, the airline has been actively reinventing, renovating and revitalizing the Delta Sky Club experience, making it another reason to choose Delta. 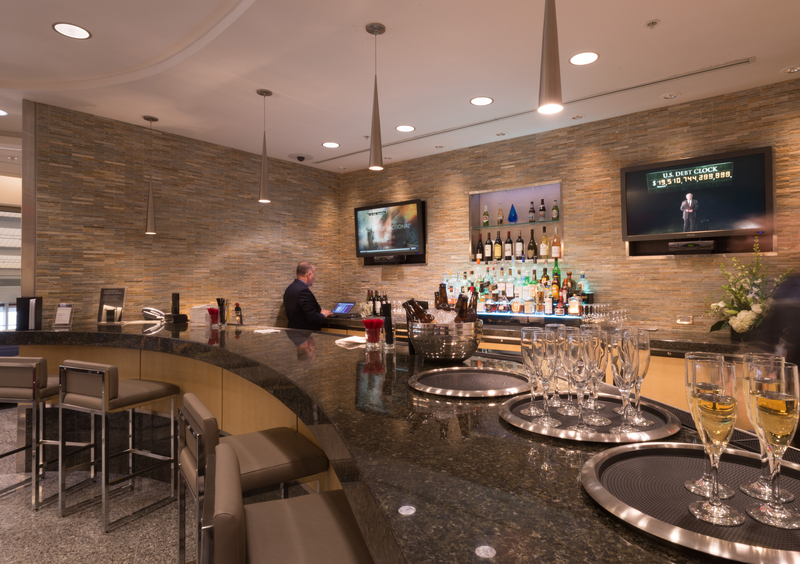 RDU’s Club represents the latest in the airline’s premium customer experience and features local touches designed to provide a meaningful, inviting environment for members and guests — from modern décor and spacious seating to locally inspired food and premium drink offerings at THE BAR. Contemporary furnishings from U.K.-based furniture manufacturer Boss Design, along with natural slate and granite tile finishes throughout the lounge. Power outlets and charging stations near every seat, with increased Wi-Fi speeds. There is also an expanded business center and plenty of private seating areas. 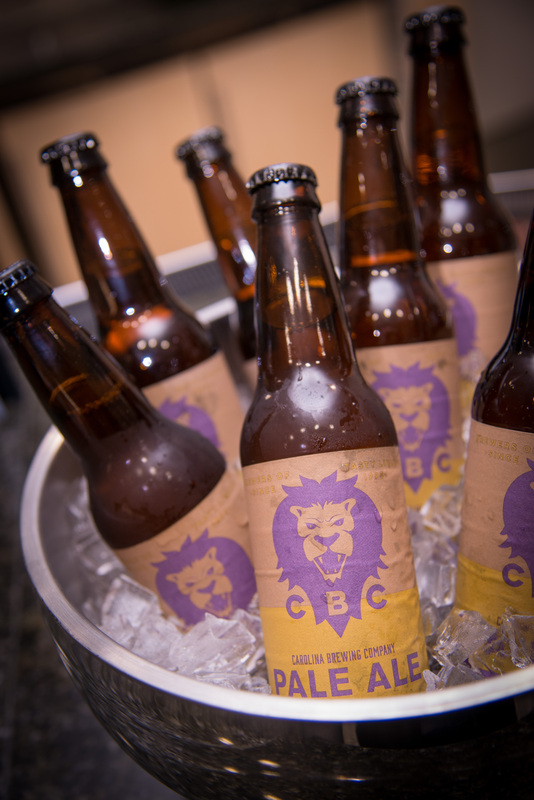 THE BAR at Delta Sky Club, which offers a variety of complimentary beverage options, including locally brewed craft beer from Carolina Brewing Company, premium wines curated by Delta’s Master Sommelier Andrea Robinson and artfully mixed seasonal cocktails. Starbucks coffee and self-serve Starbucks espresso machines are also available. 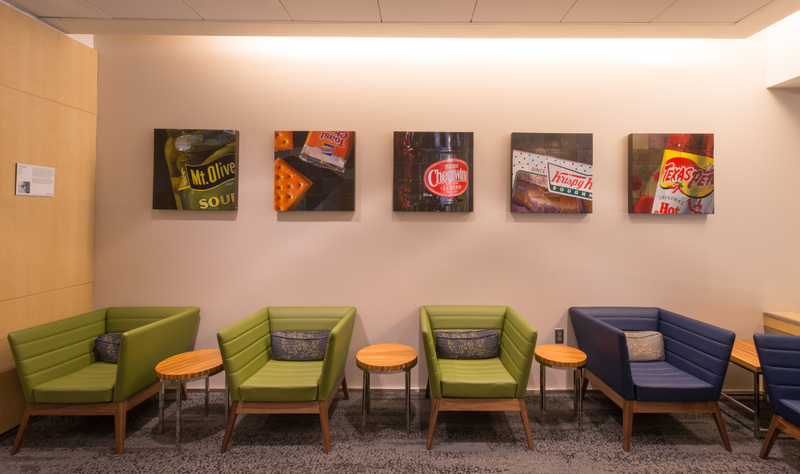 Local artwork from North Carolina-based artist Jeff Cohen, including a series of paintings called "Tarheel Tastes,” which represents five popular food products that originated in the state: Cheerwine soda, Lance crackers, Mt. Olive pickles, Krispy Kreme doughnuts and Texas Pete hot sauce. Delta is the largest airline at RDU with 69 peak day departures to 21 destinations and has grown available seats by 49 percent since 2010. The airline has made significant investments in the Triangle region with new international service to Paris, domestic service to Washington D.C., Salt Lake City and Newark with Austin and Seattle coming in 2017, in addition to dozens of community partnerships, including KaBOOM!, Duke University, NC State University and The University of North Carolina. A new Club expansion is coming to Newark in early 2017, including a redesigned bar and more food options. Spa services from Asanda Spa Lounge, featuring seated chair massages with guided meditation audio/video by world-renowned wellness expert Deepak Chopra and a full line of spa and wellness products for purchase from Comfort Zone and Stay Well, will be offered in New York-JFK Terminal 4 and Atlanta Concourse E.
To learn more about Delta Sky Clubs or to become a member, go to delta.com/skyclub or visit one of the lounges.